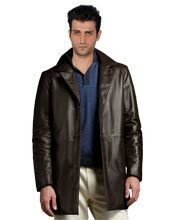 Style with a difference and make yourself trendy with the trench style Napoleonic leather coat. 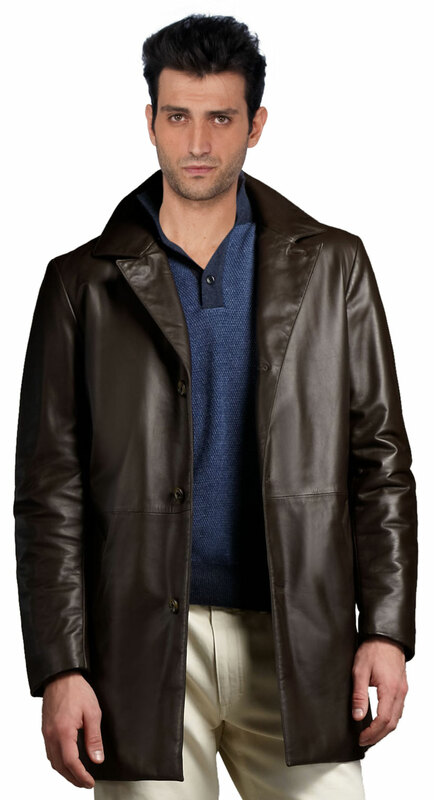 Its classy and brief features enhance the wearers looks and personality with its exuberant features like it’s astonishing Napoleonic collar style gives a defining look at the neckline, its lambskin feature gives out the smooth and glossy texture to the coat, its trench style features gives out the comfort and savvy look. So get them before it’s too late. Note: The design shown in the image will remain the same however the embellishments (buttons, zippers, studs, etc) may differ. Leatherfads.com @ 2014 All rights reserved.